Understanding the future of biometrics for login processes is easier than you think! When used in an effective manner, biometrics can surprisingly help contribute to safer cybersecurity measures. In fact, by moving beyond the basic password-protection authentication avenues, biometrics technology is giving an often desired additional layer of security. This additional layer is quite often extremely difficult to hack providing a more secure database as a result. Now, more so than ever before, businesses have begun relying on biometrics to assist with logging employee processes. In addition, financial institutions have started using biometrics to aid in verification systems such as online purchases. With Apple Touch ID making smartphone usage seamless and easy-to-use, biometrics has really grown and evolved as a cyber security solution for many. However, many security professionals have seen the weaknesses posed with biometrics as a cyber security resource. Here are just some of the weaknesses that have been found in biometrics. While serving as a quite effective form of security, facial recognition is not always accurate. In fact, facial recognition has been known to have a very high level of false positives rates. Consider an individual who is wearing sunglasses or a new pair of glasses. These variables will likely affect the way biometrics recognizes the face and could result in the person being unrecognizable to the simple system. With biometrics, fingerprints are a wonderful security addition in place of or in conjunction with passwords. However, the weakness lies in the ability for hackers to get into these systems. Since people are not trained in protecting their fingerprints, hackers are able to copy fingerprints left on biometrics devices. Being able to maintain high-security measures and a seamless user experience is essential for most businesses. However, this balance is extremely hard to come by. 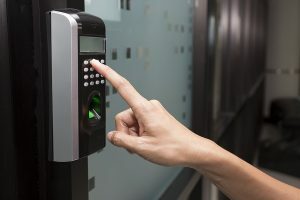 It can become increasingly difficult to integrate biometrics into security protocols when users are already happy with the current security measures in place. This entry was posted on Thursday, June 15th, 2017 at 9:56 am. Both comments and pings are currently closed.